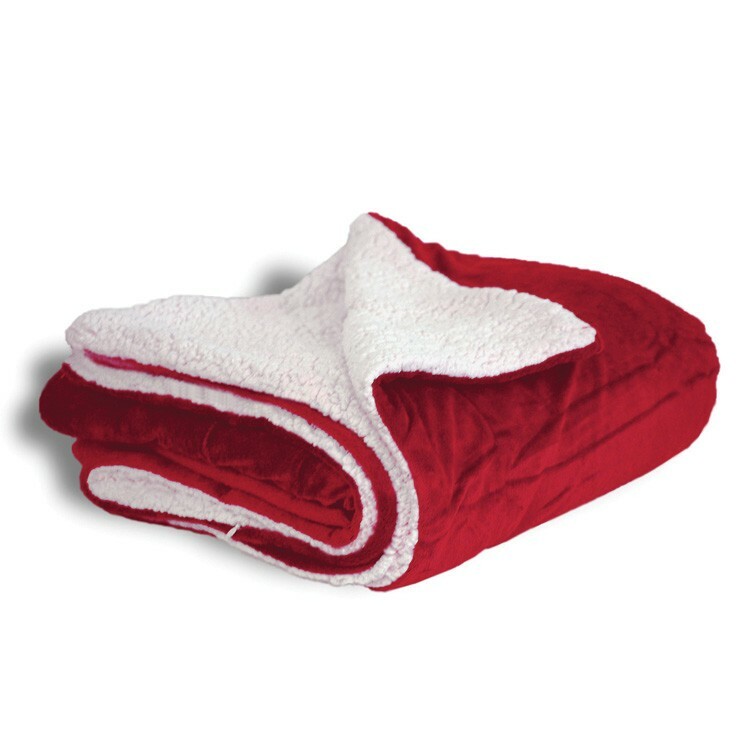 Sherpa throw blankets packaged in vinyl carrying bag. Embroidery available - 8" x 8" imprint area. In stock and ready to ship. 12 piece minimum. Quantity discounts available.